The first Mount Calvary Baptist church building was erected in 1880 in a community called Fulton. This community was located at the foot of Powhatan Hill, just east of Rocketts Landing and the old Fulton Gas Works. 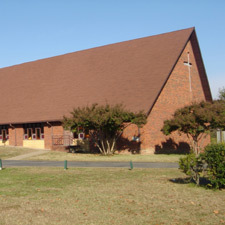 In 1912, God led the members to a new edifice located at 717 Orleans Street and then in 1979, the parish moved once more to its current location here at 4401 Hobbs Lane. Mount Calvary is blessed to have been located in the Fulton area for over 130 years.